“It was the best of times, it was the worst of times, it was the age of wisdom, it was the age of foolishness,” – A Tale of Two Cities. One of the greatest opening lines of any piece of literature still accurately portrays the world that we live in today over 150 years after it was written. Today, with the internet, we have immediate access to almost any piece of information we want to lay our eyes on. While the opportunity is amazing, all the information can become very overwhelming, especially when it comes to learning how to run a successful Amazon FBA business. Even though there are so many great pieces of information out there, both free and paid, it could be hard sometimes not to feel like you are missing out on something you need to know. This concept actually has a name. 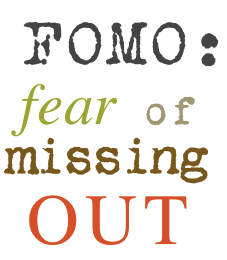 It’s called FOMO (fear of missing out), and it’s a very real mindset. This fear is one that I’ve struggled with personally the past few years. I subscribed to countless email lists on topics ranging from Amazon, FBA, private label products, wholesale information, repricing, retail and online arbitrage, as well as a handful of non-Amazon related newsletters. I was also involved in over 50 different Facebook groups related to selling on Amazon. I felt like if I wasn’t involved in every possible opportunity, then I would miss out on valuable information that would help take my Amazon business to the next level. It turns out, the opposite was true. What I didn’t realize was that following so many different opportunities at the same time was actually slowing down the growth in my Amazon business. I was more focused on getting information than implementing information. So here is the simple trick I used to get over my fear of missing out: FOCUS. You might have heard me talk about this on Periscope lately, but I’m all about FOCUS. I write the word in all caps because it’s an acronym for what I really want to remember. FOCUS: Follow One Course Until Successful. Wow… that question revolutionized my life. I use that question when I’m deciding how to spend my time, what new part of my Amazon business I want to learn next, what podcast I’ll listen to, what book I’ll read, what store I’ll source at, what email I’ll read, what Amazon product I’ll purchase, and so on. Let’s break this down into the fears associated with FOMO in your Amazon business. FEAR – I’m afraid that if I don’t learn everything, I won’t be successful. TRUTH – If you try to learn everything at once, you’ll never get a strong enough foundation to actually put into action what you have already learned. ACTION – Pick one aspect of your Amazon business to learn next, and only read books, listen to podcasts, or watch videos that are on that topic. Learn that topic so well that you could teach a friend how to do it with confidence. And be patient. It takes a while to learn a new skill. Too many people get frustrated because they don’t master something very quickly. It takes time, trial and error, and experience to be able to master a topic. 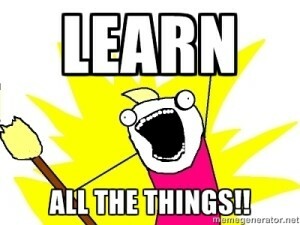 Once you learn that new aspect of your business, move on to the next topic you want to master. FEAR – If I’m not in every Facebook group, I’ll miss out on a valuable piece of information that will help my Amazon business. TRUTH – There is not enough time in the day to read all the information in every Amazon FBA Facebook group. In fact, if you try to read it all, you’ll have no time for sourcing or other tasks that actually make you money. ACTION – Pick only a handful of Amazon Facebook groups (like this one) to participate in. Rather than leaving or deleting the groups you don’t want to participate in, update the notification settings for those groups to OFF. You can still check in from time to time, but you won’t be notified of posts every time you log in. Then, focus on the few Facebook groups you get the most out of, and be a part of that community. The community aspect of Facebook groups is what really makes them work for your business. 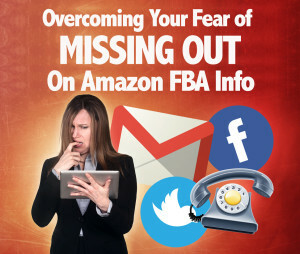 FEAR – If I don’t read every Amazon FBA email/update/newsletter I get, I’ll miss out on some great information. 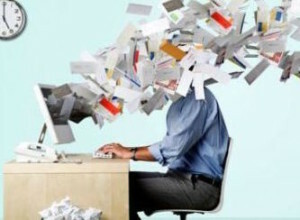 TRUTH – Emails don’t delete themselves, so if you get an email on a topic you want to focus on later, then save it. ACTION – Organize your emails. I set up multiple email folders within my email app to hold important pieces of information until I’m ready to consume them. Now, when I get an email about private label, I put it in the private label folder. When I get an email about wholesale, I put it in the wholesale folder. I still have access to the information, but I don’t consume all of it, all of the time. I can choose to go back and read those emails when the time is right. Note: I’m not referring here to emails from Amazon. I’m referring to newsletters you have subscribed to. As an Amazon FBA seller, you should always read every email from Amazon related to your seller account immediately. The key to overcoming information overload is to focus. When you are able to focus, you don’t become susceptible to shiny object syndrome. Too many of us try to learn multiple aspects of the Amazon business at the same time. Who do you think finds success faster, the person who spends 1 hour a day learning 5 different areas of selling on Amazon, or the person who spends 1 hour a day learning just 1 aspect on how to sell on Amazon? The person who focuses is able to apply what they learn much faster than the person who is trying to learn a little bit of everything. Challenge: Choose your “one thing” and then leave it in a comment below. Maybe this will help keep you accountable by posting it here. Then, stick with your “one thing” until you’ve mastered it. 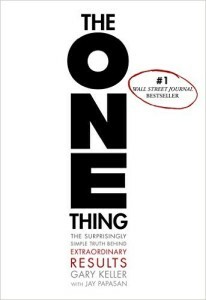 I can’t wait to see what your “one thing” is. Hi Stephen, Thanks for the great tip! I am focusing on getting my wholesale business to maximum capacity. I am only learning things to support the growth of my wholesale business. Right now my one thing is learning best practices for selling in the shoes and clothing categories. 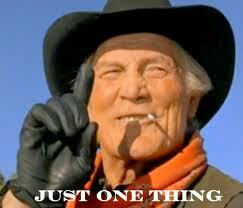 My “One Thing,” during all this Q4 sourcing, is to start learning wholesale. 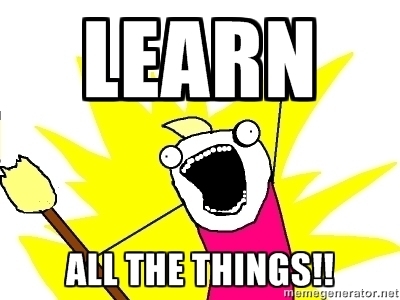 I’ll use my down time to learn wholesale so I can start applying what I learn in 2016. Be sure you watch for some wholesale blog posts as I execute what I learn. 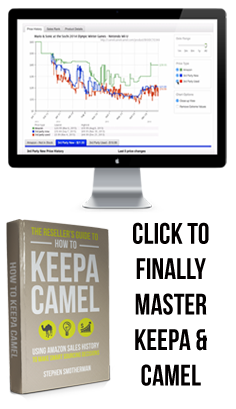 The one thing I think I’m going to focus on is selling non fiction books via FBA. Yeah I know everyone is doing it, but Im going to try it for a while and see if I have any success. 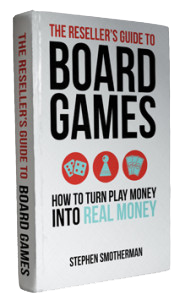 I’ve had some great success selling nonfiction books via FBA… all the best to you! I’m going to focus on getting my retail arbitrage profits to equal my monthly salary from my “real job.” After that is accomplished, I may choose private label or some other focus. That’s a great thing to strive for, but what is the one thing you’ll do right now to get closer to this goal? You’ve painted a picture of the finish line, but what is the route you’ll be taking to get there faster? Online sourcing is what I am presently focusing on. OOOoooohhhh…. we love Online Arbitrage! We even did a blog post on the perfect Online Arbitrage starter kit. I want to only focus on getting my product sales up to 10 per day. So what is the one thing you’re going to do to get to that goal? More sourcing? Better sourcing? How will you improve your sales? Narrow down your goal to the best “one thing” you can do, such that by doing it, everything else becomes easier or unnecessary. Great Post exactly what I am doing wrong so I bought the book (more information FOMO hahaha) I will try to apply this now. What a great post! I’m going to focus on the first book I bought, Online Arbitrage so that I may become more proficient in this area. I discovered your blog yesterday and I have to admit, it is addictive. 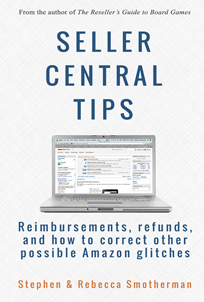 I’m new as Amazon seller and realized my new FOMO: to be losing important information from your Blog. LOL. I need to focus! You both have done a great job! I need to be thankful for people like you exist, that share knowledge with no fear, teaching and creating new competitors. After all, the sun rises for everyone and always there is space in the market. Cheers for all! I really want to focus on getting better at finding the right wholesale products to sell on FBA.